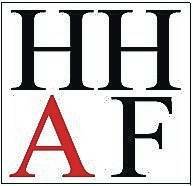 HUBER HEIGHTS — The Huber Heights Athletic Foundation will be hosting its annual “Hart Scholarship Fish Fry and Monte Carlo Night” on Saturday, February 2, 2019 at the Huber Heights Athletic Foundation, 5367 Fishburg Road. The event will run from 6 – 11 p.m. This event is our major fundraiser in support of two $8,000.00 scholarships to be awarded to a graduating male and female student athlete from Wayne High School. Come join in the fun and play all of your favorite Monte Carlo games and play pull tab instant tickets. Door prizes will be drawn throughout the night as well. And of course, enjoy all you can eat and drink fish, chicken, polish sausage, coleslaw, beer and soft drinks. Tickets are $12.00 in advance and $15.00 at the door. Children under 6 are free. Tickets may be purchased at the Foundation office Monday – Friday 8 a.m. – 2 p.m. and during Wayne Bingo at the HHAF Center on Saturday and Sunday from 10 a.m. – 4 p.m. or from any Wayne Varsity Coach. For any questions, contact the Jennifer Black or Selena Crace at the HHAF Center at 233-8618.